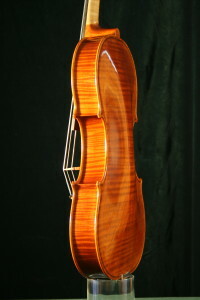 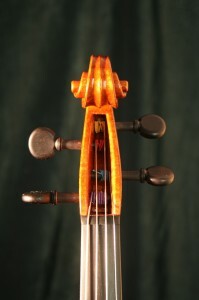 This viola model I based on photographs of and data for a 1710 Matteo Goffriller viola in the Dextra Musica collection. A key feature of the original instrument is extremely high arching, which I copied. 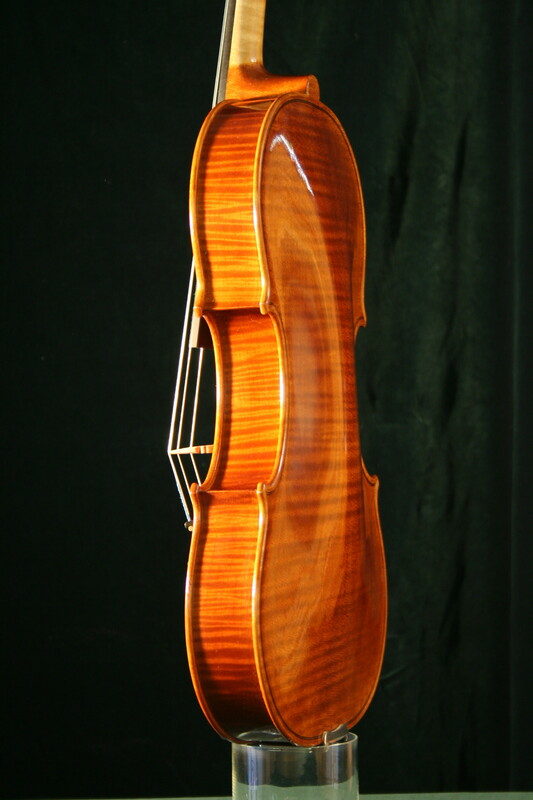 The style of the arching I developed informed by patterns from Goffriller cellos and violins, and a Goffriller viola I once saw close up but did not get the opportunity to examine. 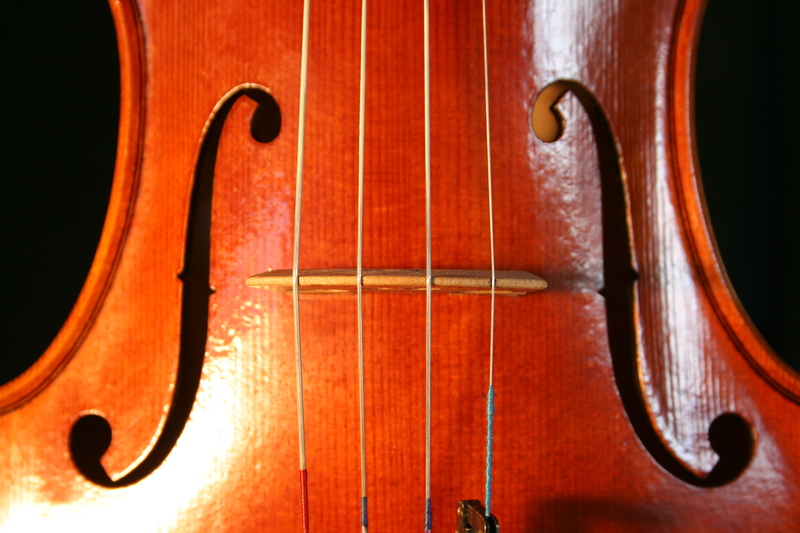 As can be seen the colour representation in my photographs is inconsistent; the darker, richer images are nearest to the actual colour of my instrument. 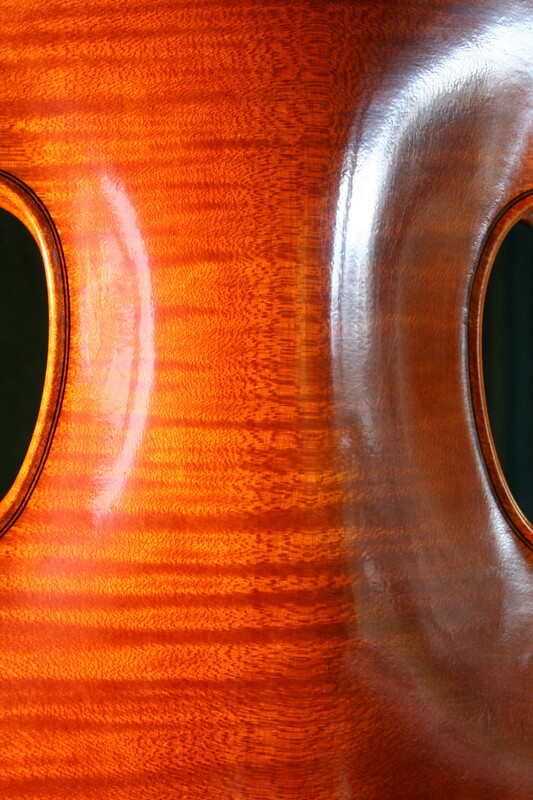 As usual I took risks with finishing the instrument, retaining surface texture, and minimising varnish on top of a mineral ground. 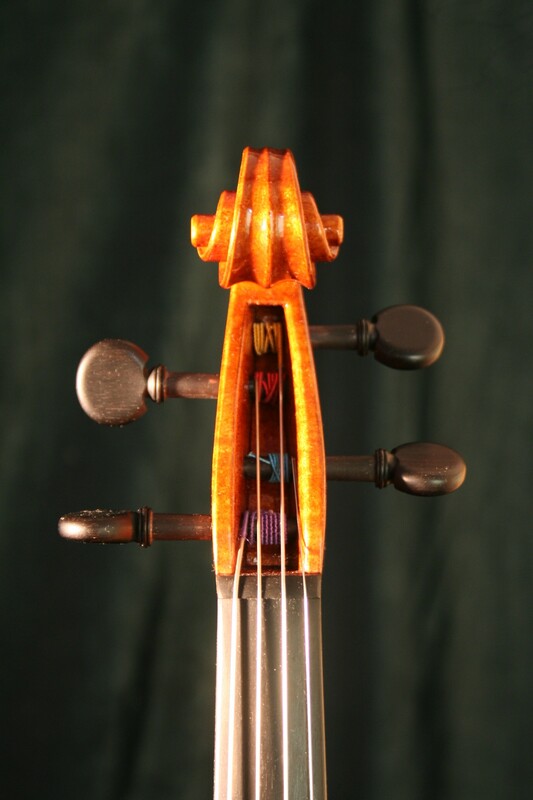 The sound of this viola in its initial setup iteration is even across the strings, fast responding and punchy. 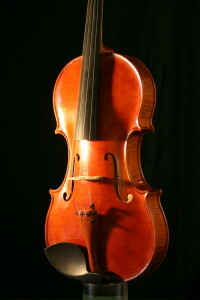 With a smallish body length of 406.7mm and being a fairly slim model this instrument is very easy to get around. 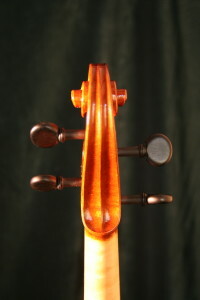 The typical Goffriller style scroll – quite delicate but with a flaring pegbox – is at the same time light and practical.